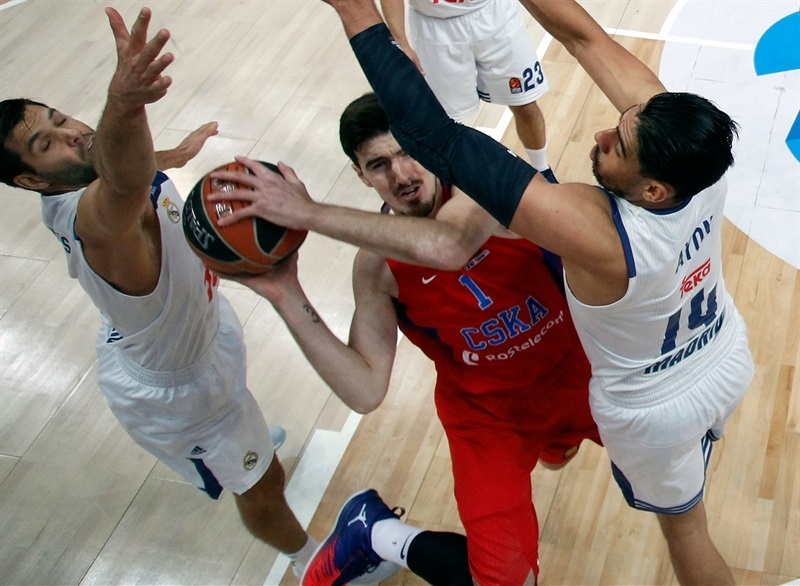 Reigning champion CSKA Moscow stayed perfect on the season after holding off visiting Real Madrid 91-90 in a dramatic clash in the Russian capital on Friday night. 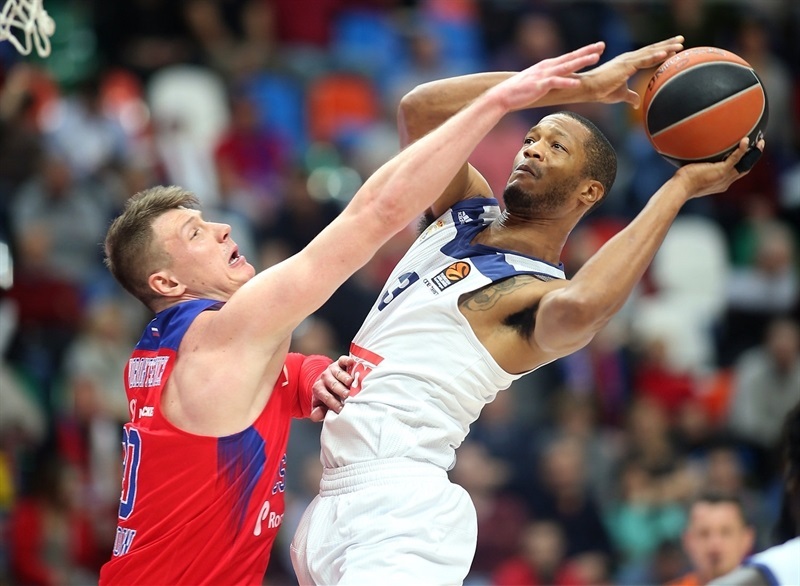 CSKA improved to 6-0 with its 14th straight EuroLeague win on its home floor, while Madrid dropped to 4-2. Key to victory was CSKA’s superb second quarter. Led by Nando De Colo, the hosts won the second stanza 32-12 to overcome an early double-digit deficit and build a lead they never relinquished. 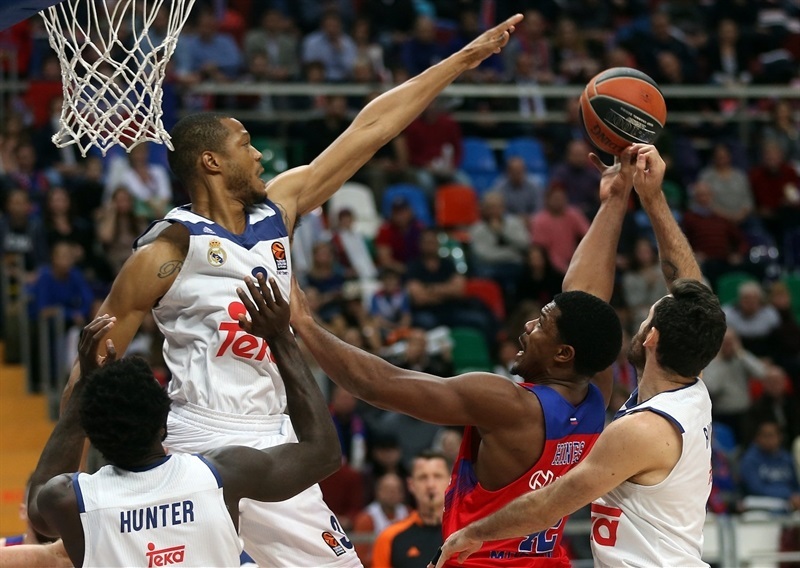 However, Madrid never went away, and slowly melted the deficit that reached 14 points early in the third quarter. 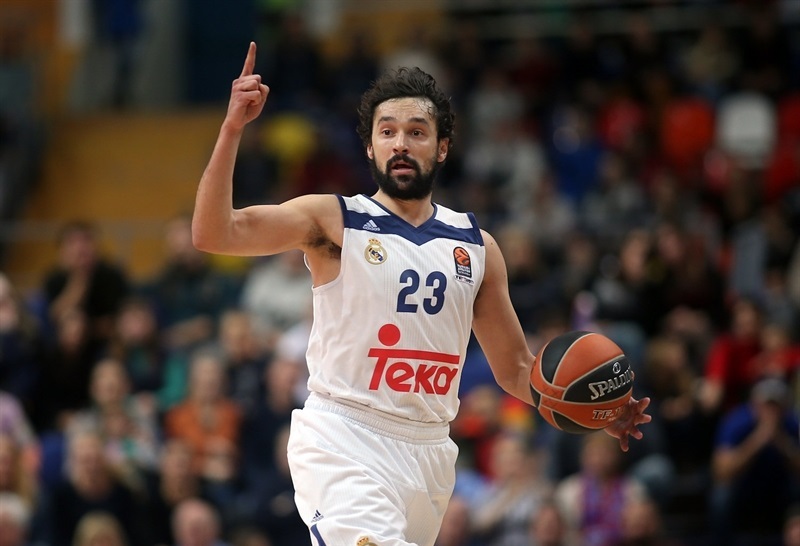 The visitors had 3.1 seconds on the final possession to send the game into overtime, but Sergio Llull’s off-balance triple did not find the rim. 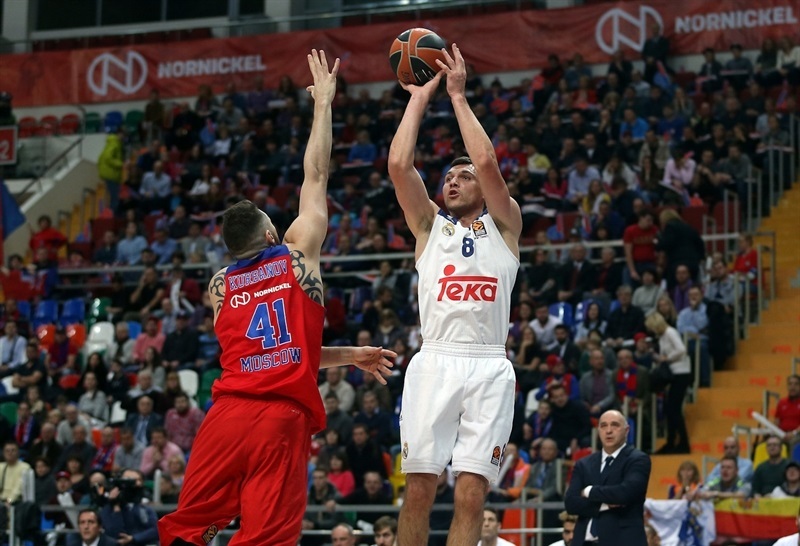 De Colo paced the winners with 16 of his game-high 28 points in the second quarter. Milos Teodosic netted 15 and dished 6 assists, which brought his career-total to 978 assists and moved him into third place in all-time rankings. 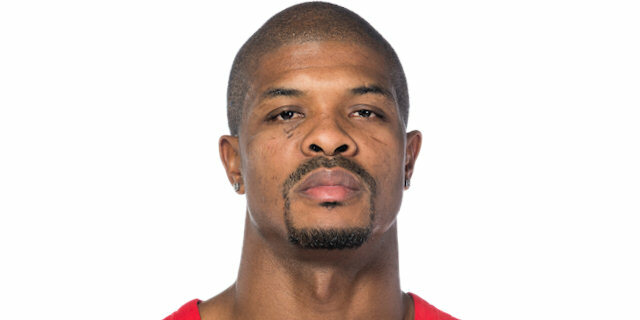 Nikita Kurbanov collected 13 points and 8 rebounds, and Kyle Hines added 10 in victory. 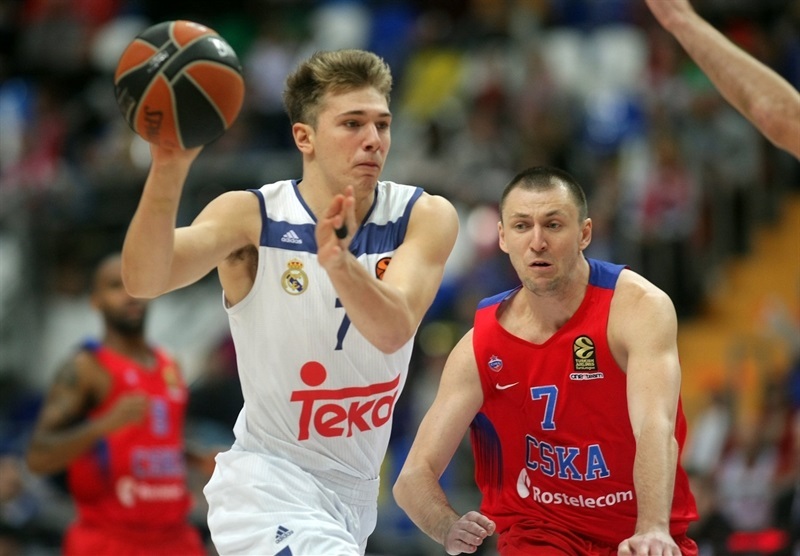 Llull finished with 21 points and 7 assists for Madrid, Jaycee Carroll scored 13, Jonas Maciulis 11, and Gustavo Ayon contributed 10 points and 7 rebounds in defeat. Madrid had a dream start to the game. The visitors forced 6 turnovers and grabbed 4 offensive boards in the first 10 minutes. Llull and Maciulis hit triples, and Anthony Randolph facilitated a fast break that led to a Luka Doncic dunk and an 8-19 lead. 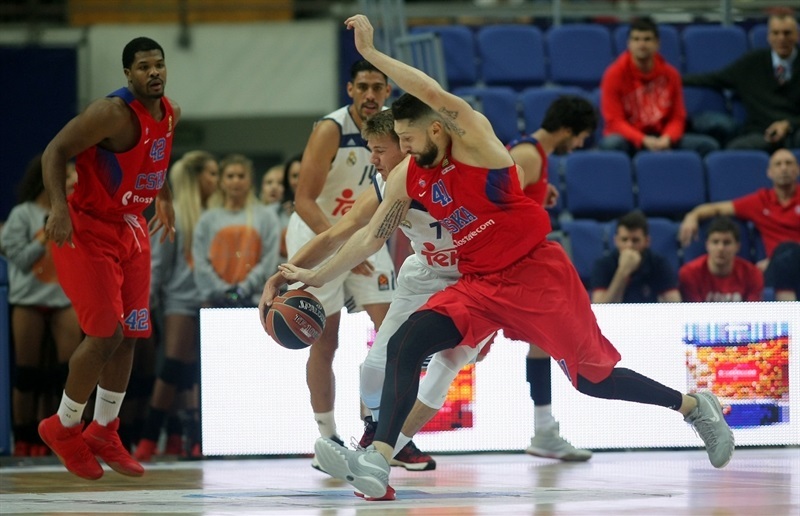 Madrid made 7 of 7 two-point shots in the opening quarter, but Cory Higgins beat the buzzer with a jumper to make it 17-26 after 10 minutes, before De Colo and Nikita Kurbanov got CSKA going in the second quarter. The hosts scored the first 14 points of the quarter, including a pair of triples from De Colo, and grabbed their first lead of the night, 31-26. 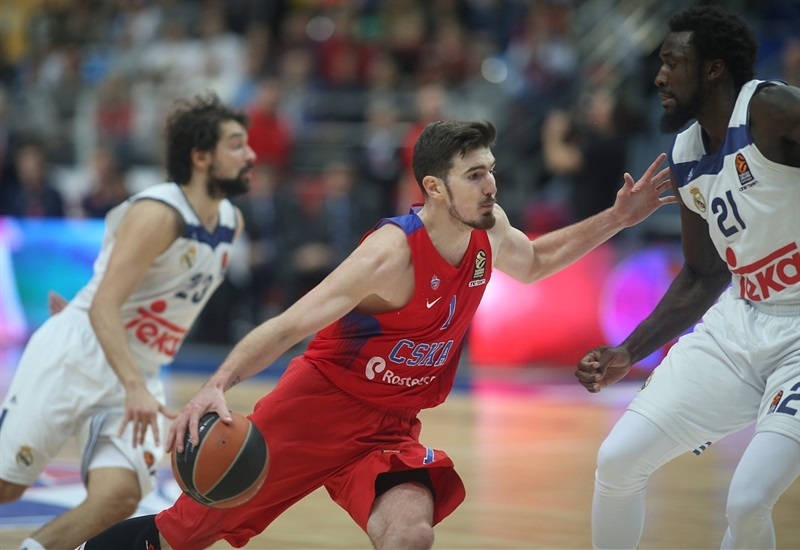 CSKA did not stop there: De Colo kept pouring it in, scoring 16 points in the quarter and CSKA put together a huge 24-2 run, capped with De Colo’s steal and a fastbreak layup that made it 39-28. 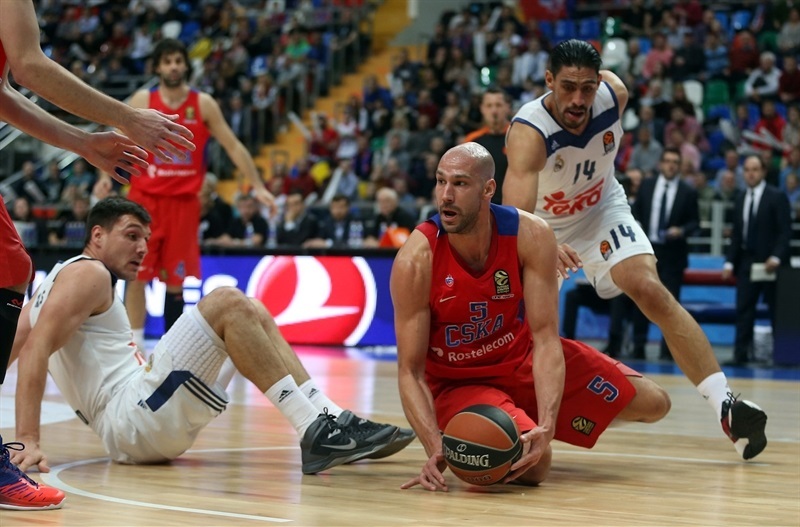 Andres Nocioni helped Madrid stop the bleeding, but CSKA still kept control and went into halftime up 49-38. A pair of triples from Llull cut the deficit to 59-53 in the third. Teodosic helped restore a double-digit lead, but a pair of Randolph dunks and baskets from Carroll got the visitors within 5 points at the end of the third, and Randolph made it 73-70 at the start of the fourth quarter. De Colo’s triple gave CSKA more breathing room, but only briefly as Rudy Fernandez’s transition triple cut the gap to 81-77 with 5:48 to go. Victor Khryapa’s put-back was the only field goal CSKA scored in the final five minutes of the game, but the hosts held their own on defense as the game went down to the wire. Ayon’s back-to-back layups made it 87-86 with 25.8 seconds to go, but De Colo and Kurbanov made free throws that seemed to seal the deal. However, Carroll made a great defensive play in the last 10 seconds and gave Madrid one last chance, down 91-88 with 3.1 seconds left. But Llull did not come close on a tough off-balance triple, and a layup from Maciulis as time expired was not enough to extend the game. "Obviously we had a very good start, 6-0. We played against a very competitive, a very quality team that has everything in each spot. I would say for tonight’s game that we had a kind of bad start, sloppy; we had a lack of concentration, athleticism, giving them exactly what their best part of their game is, which is the open court, offensive rebounds. So we gave up a lot of easy points there. Then we wasted a lot of energy to come back, from minus-10 we were plus-11 in five, six minutes. That was a totally picture in that second quarter with a 32-12 defensively and offensively. That put us up and it was a good outcome, but we talked in the locker room that we have to take care of the ball. Obviously with 10 turnovers we had total in the second half and 16, it hurt us a lot because a lot of turnovers in the third quarter and fourth quarter, we couldn’t defend them; we just gave them the ball and they attacked in the open court one- zero or two-zero. We always had the lead, we controlled the game. It was a close game at the end, but overall the victory was in our hands and we controlled the game pretty much at the end of the game. We will take a lot of good lessons from this game. " "Congratulations to CSKA for the win. I think the game was a game that we focused very good from the beginning. We were solid at the beginning of the game. We had four, five, six minutes maximum that we were not in the game with a lot of mistakes. And against a team like CSKA, they break you. That’s what happened in the second quarter, when we played our worst minutes and they got a lot of advantage out of a bad situation, bad defensive moments, bad offensive moments. Then in the second half we were able to stay in the game, stay focused, come back step by step and we played until the end. 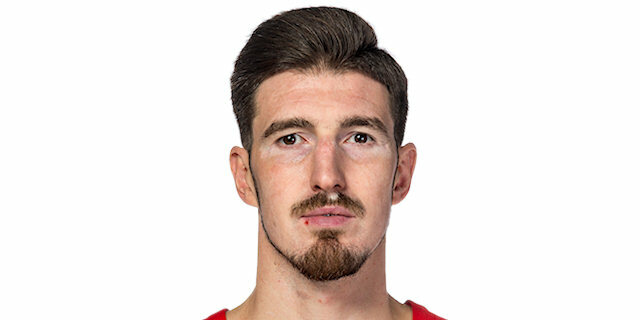 Let’s say I feel sad because we could have won this game, but on the other points, I think we did a lot of good thing in this game to stay in it knowing that CSKA is a very good team. " "It was a tough start. We didn’t necessarily start the game how we wanted, but we were able to come back and fight and play and be physical. We had our playmakers and a lot of players make some plays for us to get a 10- or 12-point lead. And even though they made a run towards the end, we were able to withstand and make a play to win the game." "It wasn't an easy game; we knew it before the start. We had a sloppy start, but got back in the game. The win is the most important thing. I think we could have won the game way before, but that's it. Real Madrid has a great team and we need to stay focused on our job and keep working." "We knew before the game it was going to be tough. Madrid is playing good; they have a good team and if you let them play like they want, they can be really good. It’s what happened in the first 10 minutes and at the end of the game. But we controlled the game pretty good. Now we need to keep working on everything we did, learn about this game and go. "